Speedo Mount Set 1928-31. The two screws, nuts and lock washers needed to mount the speedometer in the instrument panel. Made in USA. Stewart Warner Oval Speedo Decals. Replace those dirty old numbers with nice fresh new ones! Remember, the 1928 to early 1930 used the oval speedo and the 1930-31 used a round faced speedo. Made in USA. Stewart Warner Round Speedo Decals. Replace those dirty old numbers with nice fresh new ones! Made in USA. Waltham Round Speedo Decal sheet, to replace those dirty old numbers with nice fresh new ones! Made in USA. Northeast Round Speedo Decals. Replace those dirty old numbers with nice fresh new ones! New nickle front bezel for the Stewart Warner Speedo on the 1928-30 Model A with the oval speedo. Made in USA. New nickle front bezel for the Stewart Warner Speedo on the 1930-31 Model A with the round speedo. Made in USA. New nickle front bezel for the Round Waltham Speedo on the 1930-31 Model A with the round speedo. Made in USA. New nickle front bezel for the Northeast Speedo on the 1930-31 Model A with the round speedo. Made in USA. 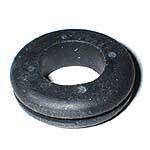 Speedo Grommet 1928-31. The grommet that mounts in the firewall where the speedo cable goes through. Made in USA. The complete speedo cable assembly for the 1928-30 oval Speedo. Speedo end = 1/8" square, drive end = keyed-round. Speedo end and drive end is 3/32" square. 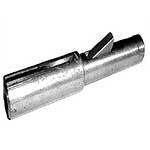 Also fits many of the American Ford V8 1932 to 1948. (Check the length before ordering). Special Speedo Cable for the 1928-30 Oval Speedo. Occasionally the gear & case assemblies get mixed and the original style cable will no longer work. These cables are used if you have a gear & case assembly really doesn't belong with your speedo. Total length 63 inches. Made in USA. Speedo end =1/8" square, drive end = 1/8" square. Special Speedo Cable for the 1930-31 Round Speedo. Occasionally the gear & case assemblies get mixed and the original style cable will no longer work. These cables are used if you have a gear & case assembly really doesn't belong with your speedo. Made in USA. Speedo end = 3/32" square, drive end = keyed round. Some of the 1930-48 American Ford V8 use this 70" long speedo cable. Please check the length required before ordering. If you have an old original cable housing, and the inner cable is broken, you can replace just the cable instead of the whole assembly. The cables are 61 - 1/2" long. You must measure your old cable first, as various outer cables were used over the years. If you have an old original cable housing, and the inner cable is broken, you can replace just the cable instead of the whole assembly. The cables are 61 - 1/2" long. You must measure your old cable. 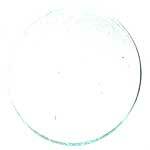 Clear glass lens for the oval speedometer. Made in USA. Clear glass lens and gasket for the round speedometer. Made in USA. 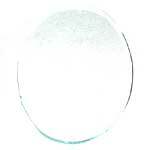 Speedo Lens Gasket 1928-30 Oval Face. Made in USA. 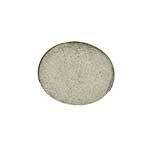 Speedo Lens Gasket 1930-31 Round Face. Made in USA. 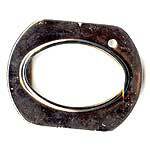 Speedo Lens Retainer 1930-31. Used on the round speedo, this ring holds the lens into the chrome face. Made in USA. Speedo Trip Stem 1928-30. When your speedo is in the car, the only part of this you can see is the knurled knob sticking out of your dash. Nickel plated as original. Gear is machined on the shaft. Washer included for installing. Made in USA. Speedo Face Plate for the 1930-31 Model A with the round Waltham speedo. 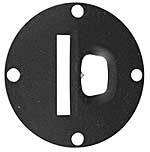 This is the black plate that fits behind the plated face plate. Made in USA. Speedo Face Plate for the 1928-30 Model A with the Oval Stewart Warner Speedo. Made in USA. Speedo Face Plate for the 1930-31 Model A with the Round Stewart Warner speedo. Made in USA. Speedo Face Plate for the 1930-31 Model A with the Northeast speedo. Made in USA. 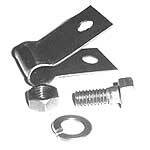 Support Clip for the 1928-30 Model A Ford with the oval speedo. Support clip that holds the speedo cable on the frame rail. Includes mounting hardware. Made in USA. Support Clip 1930-31 Round Speedo. Support clip that holds the speedo cable on the frame rail. Includes mounting hardware. Made in USA. Steel 18-tooth Speedo Drive Gear for the 1928-29 Model A Ford with the the standard ratio rear axle. This is the small gear that goes in the housing that bolts to the bottom of the torque tube. Nylon 18-tooth Speedo Drive Gear for the 1928-29 Model A Ford with the the standard ratio rear axle. 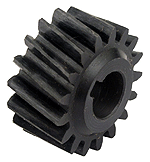 High quality nylon gear manufactured by OEM gear supplier. 19 tooth Speedo Drive Gear for the 1930-31 Model A Ford with the the standard ratio rear axle. Speedo Drive Assembly for the 1928-29 model A with the round keyed shaft. Complete drive that includes the shaft and gear. Only available for standard ratio rear ends. Made in USA. Speedo Drive Assembly for the 1930 model A with the round keyed shaft. Complete drive that includes the shaft and gear. Only available for standard ratio rear ends .Made in USA. Speedo Drive Assembly for the 1930-31 model A with the squared shaft. Complete drive that includes the shaft and gear. Only available for standard ratio rear ends .Made in USA. 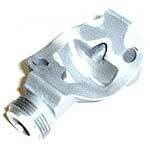 Speedo Drive Housing Only for the 1928-31 model A. Machined Casting, ready to accept your old parts. Made in USA. Speedo Drive Gear Shaft 1928-30. This is the shaft that goes in the gear/case assembly that bolts to the torque tube. The end of the speedo cable slides into this shaft. This one accepts the rounded end cable used with an oval speedo. Made in USA. Speedo Drive Gear Shaft 1930-31. This is the only shaft that goes in the gear/case assembly that bolts to the torque tube. The end of the speedo cable slides into this shaft. 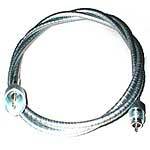 This one accepts the 3/32" square ended cable. Made in USA. 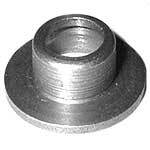 Speedo Shaft Retainer for the 1928-30 model A with the oval speedo. Presses into the end of the gear/case housing to keep the drive gear shaft in place. Made in USA. Speedo Shaft Retainer for the 1930-31 Model A with the round speedo. Presses into the end of the gear/case housing to keep the drive gear shaft in place. Made in USA. Speedo Gear & Case Mount Bolts 1928-31. Two fine threaded bolts & l/w needed to bolt the gear & cases to the torque tube. Made in USA. 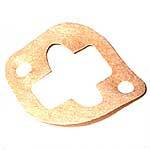 Speedo Gear Case Gasket 1928-31. 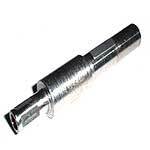 For the speedometer gear case on the drive shaft. Use these to get the proper gear mesh, set of 3. Made in USA. Speedo Drive Gear Snap Ring for the 1928-37 Fords. Holds the speedo drive gear and the thrust washer in lace on the drive shaft. Made in USA. 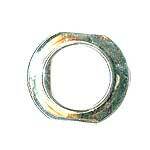 1928-48 Speedo Drive Shaft Thrust Washer. 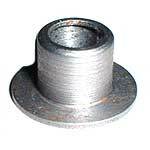 This thrust washer goes on the drive shaft next to the speedo drive gear. Speedo Gear Cover 1928-30. Only used on the oval Stewart Warner speedos. Thin egg shaped disc that covers the gear mechanism beside where the speedo cable threads in. Made in USA. Speedo Main Spring, Waltham. The main spring for inside your speedo. Made in USA.